Formed 130 years ago, the SWC is now manned with elite coaches who are inspiring the next generation of Olympic medalists. Long removed from its humble beginnings as the Saratoga Toboggan Club in 1888 (the year of the city’s Great Blizzard, by the way), the Saratoga Winter Club (SWC) has become the top speed skating training center for the area’s most elite athletes. In their professional-grade ice rink, the dark blurs of past, present and future Olympians sweat it out for potential future glory. “We have had eight Olympians, and currently, have four Olympic coaches that volunteer their time,” says Maxine Lautenberg, the Vice President of the Saratoga Winter Club. One coach at the SWC, Pat Maxwell, has been there since 1976. Maxwell is a National Speed Skating Hall of Famer; was the US National Team Coach from 1983-98; and coached the US team at the Olympics on two different occasions. SWC Coach Amy Peterson-Peck competed in the Olympic Games five times. (Peterson-Peck is married to the brother-in-law of Kristen Talbot-Peck, one of the local Olympians saratoga living profiled in our “I Do!” Issue.) Another, Paul Marchese, has been the speed skating technician and coach for a number of teams, and according to Lautenberg, “is one if not the leading custom speed skate boot makers in the world.” Together, the SWC’s all-star team churns out serious skaters who compete on national and international platforms. But as you might have guessed from the name “the Saratoga Toboggan Club,” the SWC’s founding members were anything but serious sportsmen. 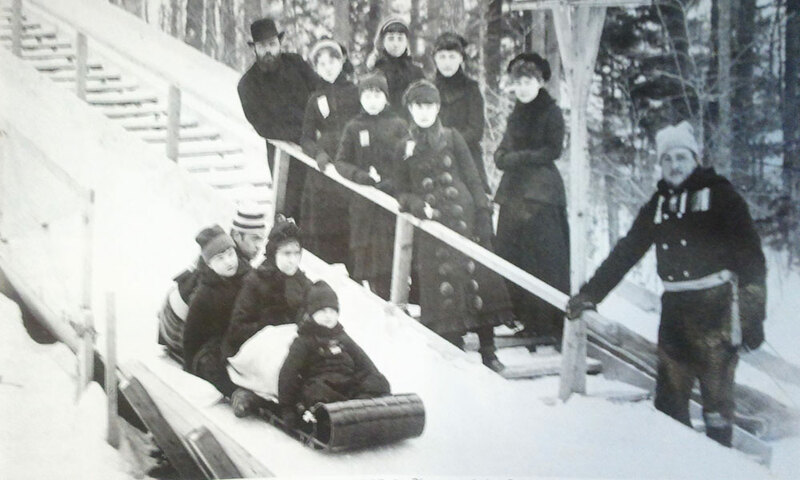 In the late 1800s, it was just a group of locals who ran a large toboggan slide that shot riders out onto Saratoga Lake, not unlike the ski slide on Mirror Lake in Lake Placid. By the early 1900s, the club had added other sports and events into the mix; and members were skiing, skating and even coronating a Winter Snow Queen. It wasn’t until the SWC started holding the Eastern States Outdoor Speed Skating Championships (ESOSC) that the club came into its own as a serious speed skating organization. 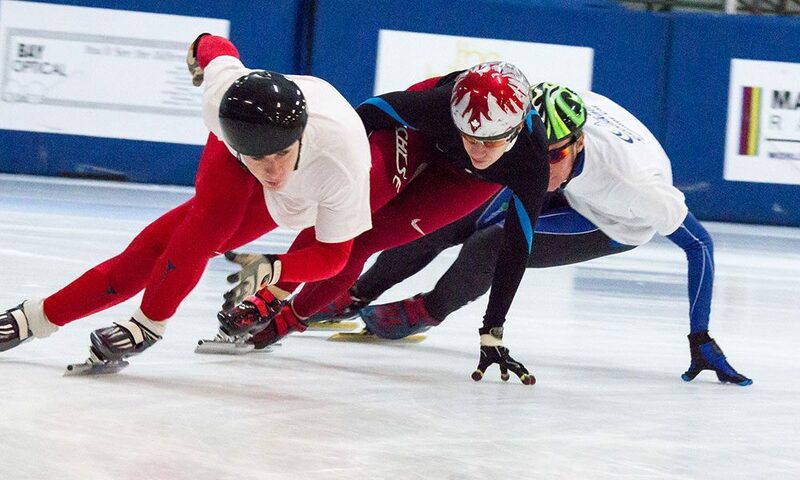 The ESOSC eventually attracted the attention of Olympic team members and national champions, transforming the SWC into the local speed skating mecca that it is today. These days, members of the SWC are young, aspiring skaters who attend weekly training sessions in the hopes of joining the ranks of the SWC’s speed skating elite. One such superstar is Schenectady native Trevor Marsicano, whose comeback story is one for the ages. In 2009, after being bullied and weathering a bout of depression and an eventual, overdose, Marsicano became the youngest gold medalist in the history of the World Single Distance Championships. Marsicano went on to win a silver medal at the 2010 Olympics in Vancouver, Canada, and is the club’s most recent Olympian. Interested in getting involved in the SWC? The club tells us that in March, it will be holding its first-ever speed skating how-to program in Saratoga Springs.